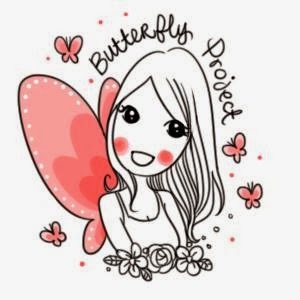 Just got back from a wonderful Blog Birthday Party hosted by Plusizekitten and TGV Cinemas! :) It was an awesome experience watching Man of Steel in the Beanieplex for the first time, but that's a story that will be told in another longer, more detailed post! 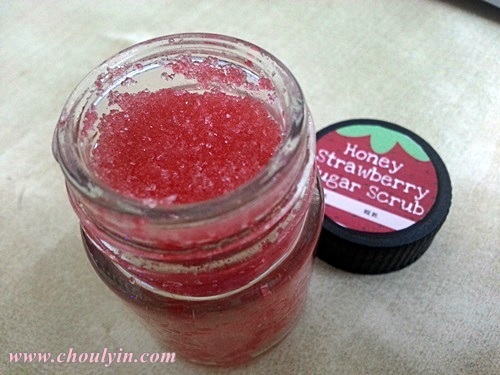 Today, I will blog about a gift that we received at the party, a homemade Honey Strawberry Sugar Lip Scrub made by Tammy herself! I know, it's such a fast post up, but this is really my first lip scrub that I have ever gotten, so don't blame me for being so impatient and excited :p Why are there lip scrubs? 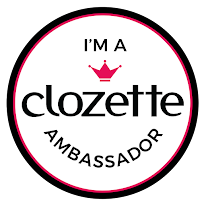 Well, because like all parts of our body, our lips have dead skin too, and sometimes when your lips get too dry, they peel of and can look quite unsightly if you're using a matte lipstick. So, as is with regular scrubs, use the lip scrub once or twice a week to get rid of those dead skin cells and your lips will feel baby soft and renewed! 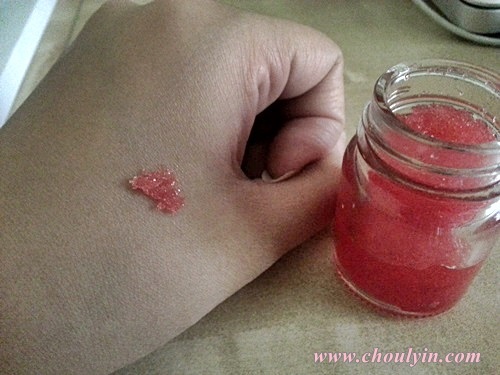 According to Tammy, the lip scrub is made out of sugar, coconut oil, honey, and strawberry, so it's sloughs off your dead skin cells on your lips, and is yummy too! How to use the scrub? Verdict: I love the feel it gives me after using it. My lips feel soft and supple, and most of my dry skin on my lips has been removed. 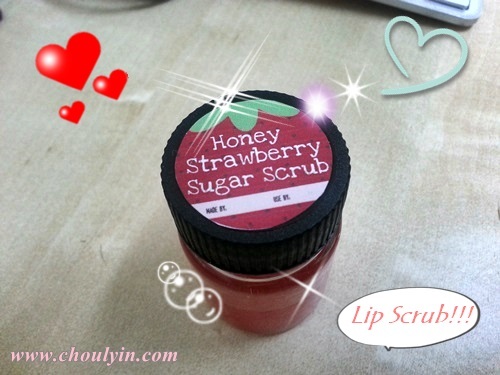 Because it's made out of sugar, strawberries and honey, I love the taste of the scrub :) I think that's the beauty of making a lip scrub out of sugar. You enjoy the experience and taste of the scrub, and it can remove your dead skin as well! Two thumbs up! Repurchase: Sadly, this is not available in stores so you can't repurchase them, but it has awakened my interest in making a lip scrub for myself when it runs out! Brown sugar, honey and black tea works wonders as a scrub! It will also last longer because there is tea in it, and sugar is a preservative as well.